Catalog > Vegetarian Capsules "00"
Vegetarian capsules are gelatin-free, starch-free, preservative-free and made from pure vegetable sources. They consist of only kosher ingredients and are free from all animal products. 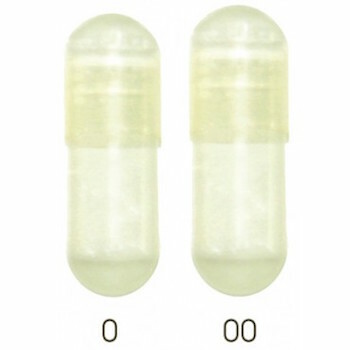 You are ordering the "00" size, picture is only shown to compare the size of the 2 capsules. Typically the "0" size is used in bottled herbs. Our clients prefer to use the larger size, thereby reducing the number of capsules required for each serving.